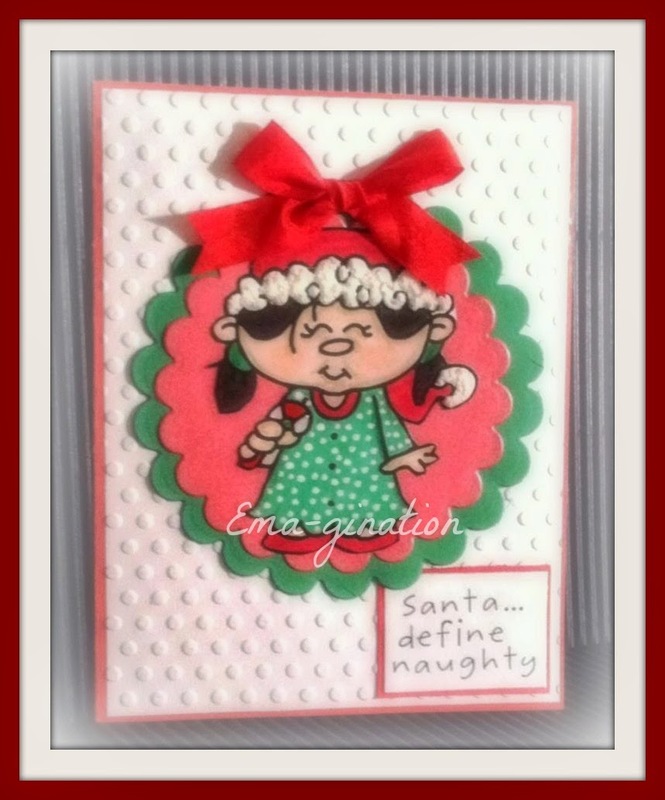 I am participating in Bugaboo's Catch the Bug Challenge 4th Annual Christmas in July Blog Hop. I can't believe I've gotten this far with this challenge! I've got tomorrow's made up too... just waiting for the challenge to open up and then I'll only have to make Friday's! I'm almost giddy! lol Even if I don't win anything... the fact that I stuck it out no matter how I felt each day... is a HUGE accomplishment for me these days. Great job with the Bingo Challenge! That image is simply precious, and you've showcased her with a great card design! Thanks for joining us for our Christmas in July Challenge today! I hope you'll join in for the other daily challenges for more chances to win prizes! She is so cute and the trim on her hat is just perfect! Thanks so much for joining us at the Hambo Hoedown. 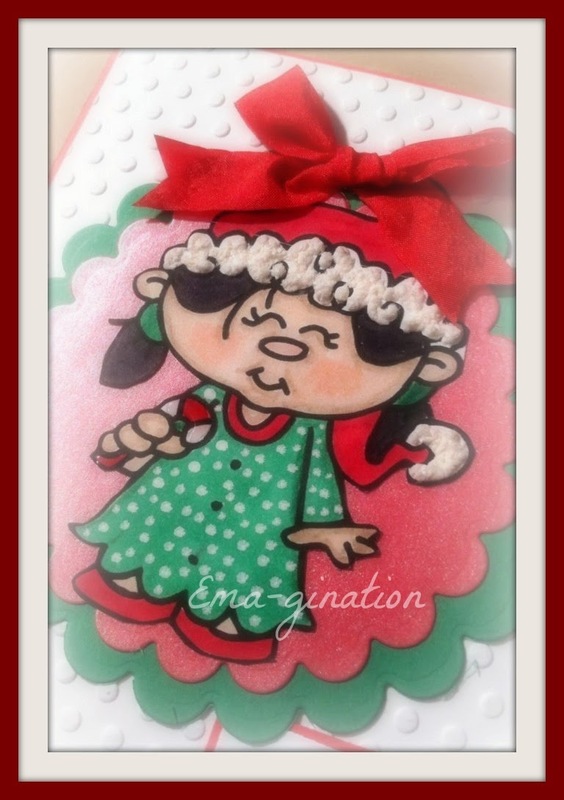 Fun card, Ema. Love the liquid applique on the hat. 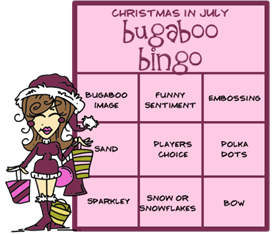 Thanks for playing along with the Bugaboo Christmas in July Bingo challenge! What a great and fun card...thanks for sharing with us at Divas by Design! Fab, fun card! Thanks for sharing with us over at Nutcrafters this time & good luck!